Truly one of the loveliest waterfalls in Olympic National Park, Sol Duc Falls is fed by the crystaline waters of the Sol Duc River, which plunge over the cliffs and sprinkle the tourists below. 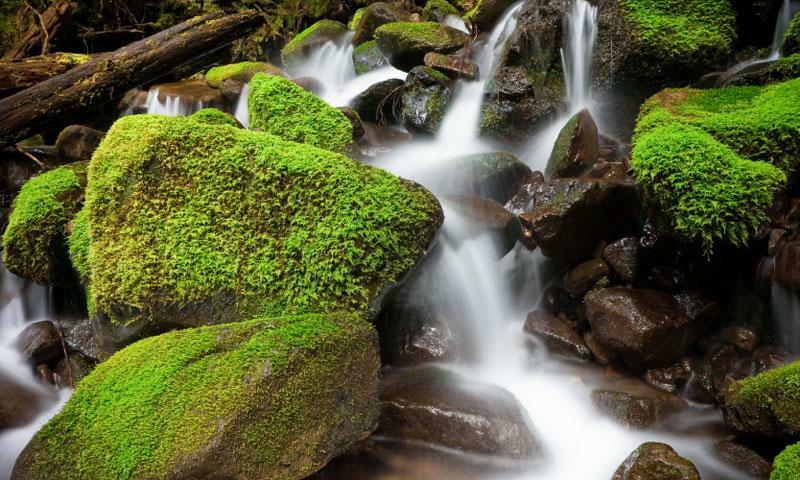 A walk on one of the trails that lead to Sol Duc Falls WA will put you close to one of the park’s most frequently photographed waterfalls, most picturesque during the early spring season but a joy to behold nearly any time of the year. What can I see and do at Sol Duc Falls? Scenic Hiking: The trek to the falls is perhaps too short to be considered a hike, but there are some bumpy spots that might make it a little difficult for some. The trail to the falls is .8 miles each way and it winds through pretty forest, across wooden bridges, eventually ending at the falls. You’ll hear these horsetail falls long before you reach them and you’ll be able to view them from above stream level, which allows for great photo taking. On the way, you’ll also see the rebuilt Canyon Creek Shelter, which was originally built by Roosevelt’s Civilian Conservation Corps during the 1930s. Stop and snap a picture! The other option is take the Lover’s Lane Trail which departs from near the hot springs resort. It follows the river, passing through the campground and eventually winding up at the falls. It’s a 6 mile loop but isn’t difficult to hike as it remains fairly flat. The best time to visit Sol Duc Falls Washington is during the early spring season when the runoff from the melting snow makes this one of the most magnificent falls in the park. But if you can’t make it in the spring, don’t worry! It’s lovely all year round though you might need snowshoes to get there during the winter. Where is Sol Duc Falls? The easiest and most direct of the two trails is located at the end of the Sol Duc Hot Springs Road. Take Highway 101 to this road and follow it for 14 miles until you see signs for the trailhead. If you want to use the longer trail, exit at the entrance to the Hot Springs Resort and look for the Lover’s Lane trail signs.